A good friend of mine, Audrey, recently became a Norwex consultant. I’ll be honest in saying that I had no idea what Norwex was. I’d heard of it in passing before and I was fairly sure that it was something to do with cleaning so I’d always tuned out when people talked about it – I’ve got my DIY cleaning products on lockdown and I love them, why change now? Anyway, when Audrey asked if I wanted to try out some Norwex products I had to quickly google them to see what, exactly, those products were, and I was actually kind of surprised. Long story short, we found it! It is well and truly summer here. I’ve been spring cleaning and flinging doors open and filling our home with lilacs and fresh air. 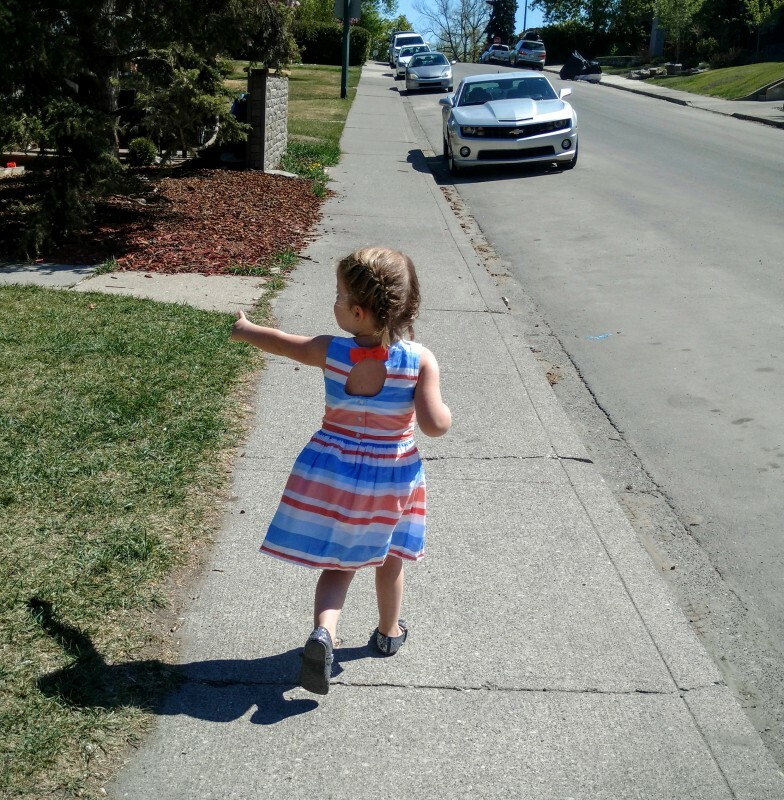 I found a secondhand kids balance bike for Olive and whipped up some homemade streamers for it and she’s been rocking around our neighbourhood every chance she gets. We’ve been ending every day exhausted, filthy, and with a few more freckles than the day before. I’ve always loved fall, but in terms of parenting a small child, spring and summer are IT. As soon as the weather gets warm enough, our entire life shifts outdoors and everything just gets easier. We eat in the backyard and don’t have to clean up the cesspool of crumbs and dropped bites, our laundry goes on the line and I don’t have to spend hours each week in a dingy laundry room, her toys get replaced by sticks and dirt and rocks and bugs and trees and I don’t have to clean any of it up at the end of the day! So basically, I’m in my glory. We’re basking, basking in it these days. No clear photos of Olive at this show exist. She was in constant motion. Just a blur of excitement. A few weeks before Christmas, I found myself at a live musical production of Alvin and the Chipmunks. It kind of sounds like hell, right? Initially, I thought so too. I sometimes like to pretend I’m a cool parent, one who doesn’t play kids music or use baby talk or have toys taking over her living room. I am a writer and a badass and a partner and a yogi and a woman, not just a mom! But the thing is that even though I’m not just a mom, I AM a mom. More specifically, I’m a mom who adores her vivacious, feisty daughter more than life itself. 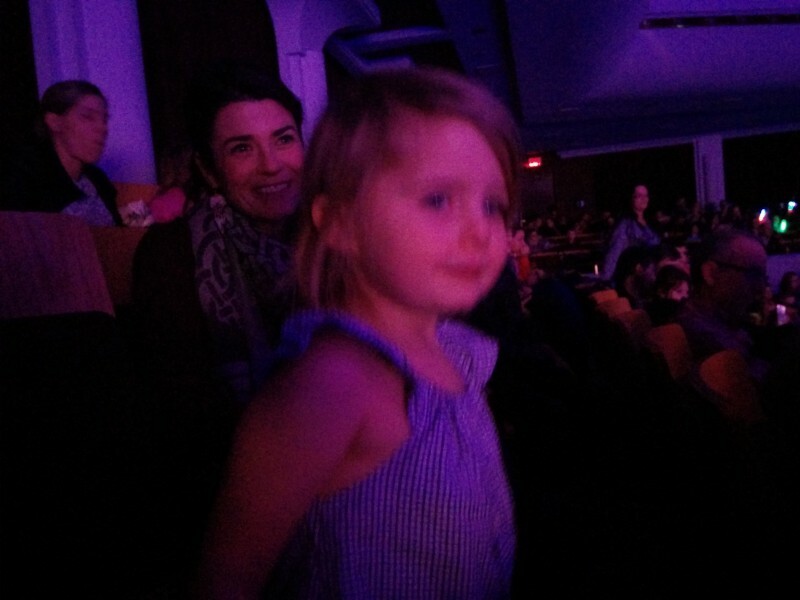 I could not deny that going to see the Chipmunks live was something that Olive would absolutely love, so I did it. For her.